Unrestricted access to military sites appears to be a red-line for Iran. At least that's what they've been saying from the outset in no uncertain terms. It would surprise me if they were to radically change their position on this issue. UNITED NATIONS (Reuters) - Britain has informed a United Nations sanctions panel of an active Iranian nuclear procurement network linked to two blacklisted firms, according to a confidential report by the panel seen by Reuters. Parchin has always been a contentious issue, especially problematic for IAEA, which needs to close its file on the possible military dimension to the country's nuclear program before an agreement is signed. What IAEA wants is access to particular buildings within the military base where nuclear work might have taken place, not the military base as a whole of course. To reach an accord, both sides need to show flexibility and accept a pragmatic solution. Also the phased lifting of sanctions is against what Khamenei has wanted; he has publicly called for the lifting of all sanctions on the day the agreement is signed, and as kind of a red line. 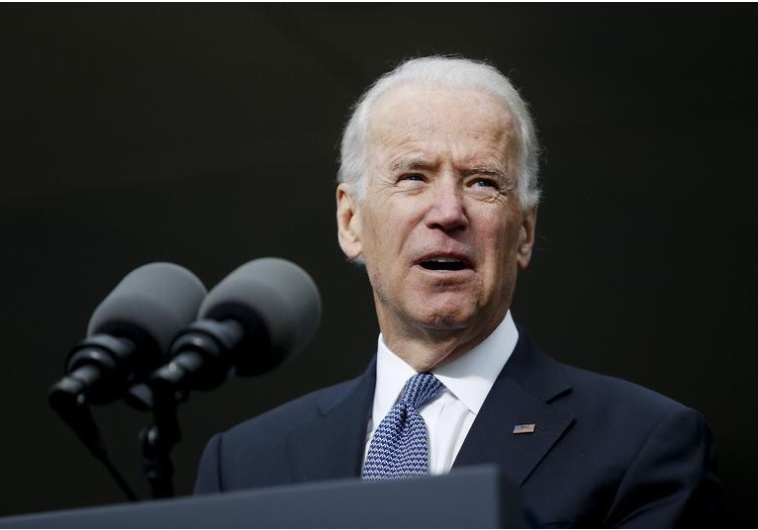 What Biden was saying was against that possibility, which might not even be practical. The Iranians, however, seem to be moving away from that demand as a red line. That's the issue the political directors were working almost full time during their last meeting in Geneva and said progress were being made. "What IAEA wants is access to particular buildings within the military base where nuclear work might have taken place, not the military base as a whole of course." ==> and who exactly would be the judge of whether a given perimeter of the base pertains to pure nuclear work and is hence a valid inspection zone ? Can anyone even draw a clear line between intertwined R & D compounds, even assuming long-abandoned work has ever taken place in a particular premise of the sprawling base ? I can foresee many differing interpretations as to what to look for and where to find it, and the obvious, inevitable frictions that will surely arise from such a situation prone to constant disagreements and tension. And the worst being that I personally don't see much room for compromise here. Any sites that will be declared no-go zones by the Iranian leadership and military even on valid ground can be legitimately viewed by the other party as obstruction attempts betraying guiltiness, and reciprocally any valid request from the inspection team can constitute a case of abusive intrusion in the eyes of the Iranians, it's a nightmare ! it never ends otherwise than ultimate collapse, exactly like it did in Iraq. If in doubt, ask Hans Blix. In this scenario, there is indeed ample opportunity for a given party to push forward with ever-increasing intrusiveness on the one hand and ever-tightening limitations on the other. And in that regard, I really, REALLY hope this is only a propaganda ploy by Mr. Biden, and that his recent request doesn't resonate beyond the halls of that dinner. The procedure is clear, it would be covered under the IAEA additional protocol (AP); Iran is not the first country to sign AP. Accordingly, the IAEA informs Iran of specific buildings/sites to be visited, and the visit occurs after Iran's approval. In the emerging nuclear agreement, JCPOA, there is also a specific provision on how to resolve any dispute that might arise between IAEA and Iran over such visits. Thank you for your insight. Then I can only hope that the protocols are handled in a professional way and in good faith rather than driven by political bias and dishonesty, would it be on the part of any of the involved parties. Agreements and written rules in this particular field are one thing, practical application of complex undertakings implicating many complex interests in a context of residual distrust are another. Let's see how smoothly the AP is implemented to the full extent of the required authority and its associated provisions in case all else fails. Why shouldnt it be practical?,if all 5 permanent members are in agreement it should only require the tabling of a resolution followed by a vote,this could literally be done within a day or two of a signing of a final agreement. The Lausanne framework agreement calls not just for annulling previous nuclear-related sanctions resolutions, but also for passing of a new UNSCR dealing with sensitive issues, like ballistic missile development. Drafting such resolution at the UNSC takes some time! That's not the issue you were discussing here. The issue was it would take more than a few hours/days to finish UN part of requirements after signing the agreement. Not my views, I am just going by what was agreed at lausanne, and were announced by Mogherini and Zarif, that as part of JCPOA, UNSC will pass a new resolution annulling the nuclear-related sanctions and putting in place restrictions, including restriction related to the ballistic missile program.